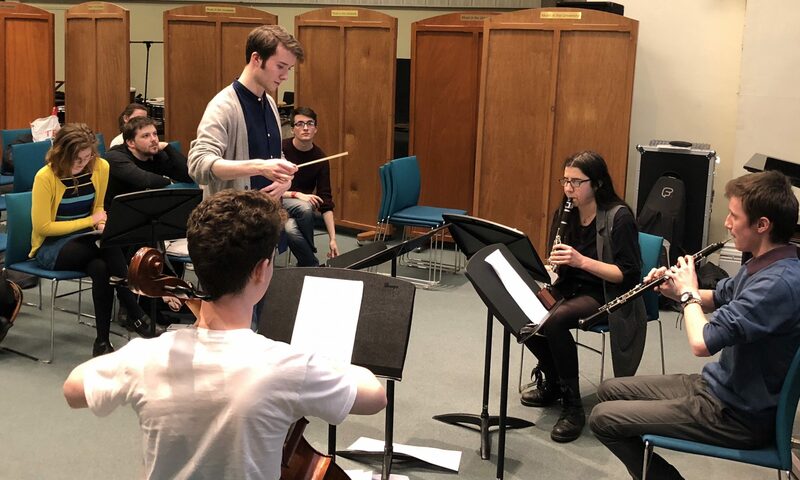 Scottish Young Composers Project – A free composition mentoring programme for secondary students offered by the University of Glasgow. Scottish Young Composers Project is a multifaceted initiative supporting the development of skills in music composition for students in secondary schools. Central to this is a free year-long course which allows students who are able to travel to the University of Glasgow on a fortnightly basis on Friday evenings for mentoring sessions. Throughout the year students will receive seminars and tutorials covering a variety of topics and skills, where they will work towards the development of a composition for small ensemble. During the course, students will have the opportunity to have their music workshopped by performance students at the University of Glasgow. The programme is aimed to introduce a range of techniques in contemporary art music and may be of particular benefit to those seeking to study music at university or conservatoire level. It is hoped that beyond developing specific skills in composition, students will take away from this course an enhanced awareness of repertoire and enjoyment of listening and creating. The project has been designed by Dr. Jane Stanley, Senior Lecturer in Music and Head of Subject at the University of Glasgow, with the assistance of Kevin Leomo, PhD student and graduate teaching assistant.